Doppio Zero is a wide and commodious basin. The curves of the boarder make it sinuous and feminine. 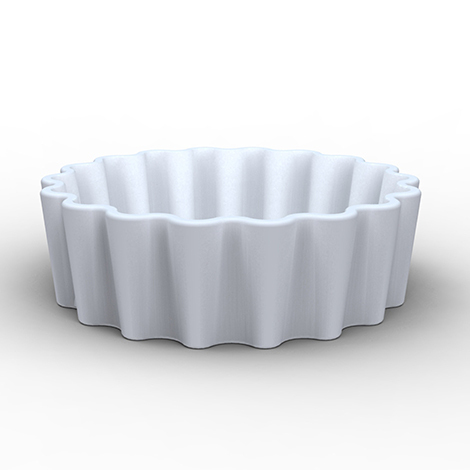 It resembles a oversized ceramic cake pan, an apparently simple shape inspired by products of the 70’s where the floral aspect becomes the modern element.